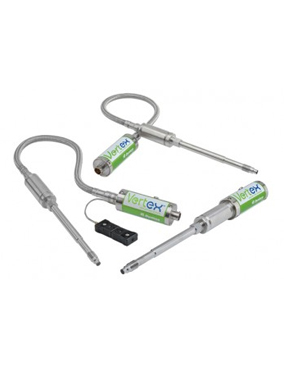 Vertex™ is a Dynisco melt pressure sensor innovation that matches or exceeds the performance of the traditional sensor. The big differences are that Vertex is more robust, much faster, and significantly friendlier to the environment. New Guardian Series pressure sensors offer extruder manufacturers and processors an affordable way to comply with stricter international safety standards. Guardian sensors bring extruders into compliance without the costs or complications of redundant sensors and external relay modules. Should the sensors detect a fault, they automatically send a signal to return the equipment to a safe operating mode. The Guardian safety option is available in the widest range of sensors in the industry. 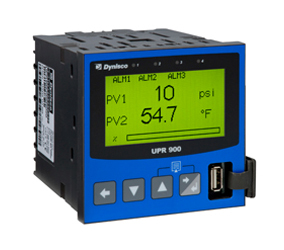 The new UPR900 from Dynisco can display a range of engineering units related to standard strain-gauge, thermocouple or voltage/current inputs. An optional secondary input makes it possible for the user to display pressure and temperature simultaneously. If the two inputs are selected as pressure inputs, the user could monitor differential pressure – on a melt screen changer, for instance. Analog retransmission of process variable allows the signal to be sent to other devices. The UPR includes two standard assignable alarms with the option to add a third. 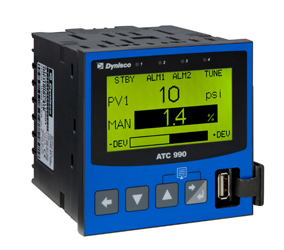 The ATC990 is a discrete, auto-tuning controller that is ideal for managing critical process parameters such as polymer melt pressure or temperature on a plastics extruder. Standard inputs include strain gage, thermocouple or linear (dc-voltage or milliamps) and the unit can also control differential pressure when an optional secondary strain gage input is used. Other useful display information includes alarm set points, and error conditions. 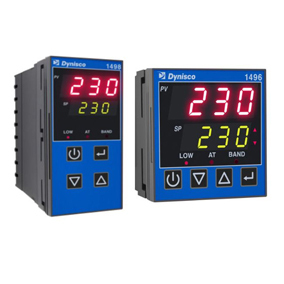 The 1496 and 1498 Series Temperature Controllers offer an economical solution to precision temperature control of extruders. With two DIN sizes and multiple output configurations, the controllers are suitable for twin and single screw extruders. Both can be configured for heat-only control in die and adapter zones, or for control of both heating and cooling in barrel zones. 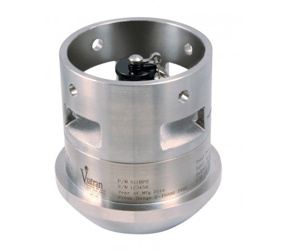 Viatran's new Model 511 Hammer Union Pressure Transducer offers superior construction and the rugged performance that we have built our reputation on. This new generation of Hammer Union Pressure Transducers incorporates more user friendly features and optional add-on features than ever before. 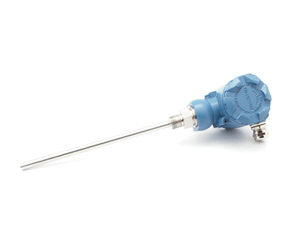 The Model 385 Flush Tip – Zero Cavity design offers an Isolated sensor assembly that virtually eliminates installation torque effect and is able to withstand pressure spikes up to 5x proof pressure and 20x burst pressure. Features include a Solid Stainless Steel diaphragm, fully welded and sealed housing impervious to fluid ingress. Laser marked and available in seven pressure ranges. 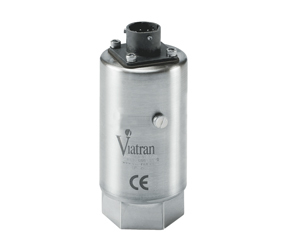 Viatran's new 24A and 34A models are our most versatile pressure transducers for industrial applications. They measure from 3 PSI to 5000 PSI (0.2 to 345 bar) with standard linearity of ≤±0.25% FSO. Improved linearity of ±0.15% or ±0.10% FSO are available as options as well as improved temperature performance options as well as improved temp spec options. The 24A provides a standard 0-5 Vdc output, and the 34A provides a standard 4-20 mA output. The Model 517 pressure transmitter is an all-welded, submersible unit designed to give an accurate level measurement in up to 1,200 feet of water. 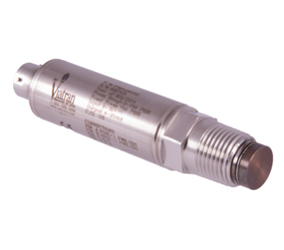 The 517 pressure sensor is excellent for general water applications and excels in a number of corrosive applications. The piezoresistive silicon sensor offers excellent accuracy and stability. Parison control is an advance close-loop system for blow molding machine. 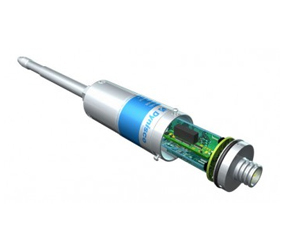 The 12 series non-contact absolute position transducer is specially designed for parison control. It provides feedback of the valve position to controller to precisely control the thickness of the bottle. 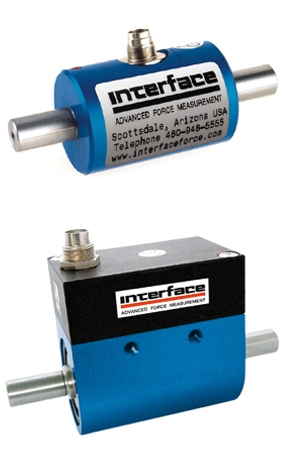 Interface offers both reaction and rotary style torque transducers. Whether you need torque transducers for rotary torque, axial torsion or reaction torque, you don't have to be an expert in torque measurement, because we are. Talk to us about what sort of torque you need to measure, and under what conditions and constraints. We'll walk you through the specification process, quickly and efficiently, and if we don't have what you need on the shelf, we'll be happy to customize an existing product or build a new one from scratch to meet your exacting requirements. Interface reaction torque transducers come in a wide variety of form factors including shaft, solid flange, hollow flange and flat types. Capacities range from small oz-in units all the way up to millions of lbf-in. Most of the reaction torque transducers have mV/V outputs but the solid flange type is optionally available with +5 VDC or 4-20 mA output. Available models of rotary torque transducers include shaft and flange types in either 2X or 4X safe overload ratings. 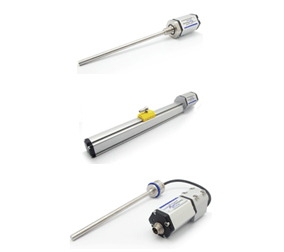 All of Interface's rotary torque transducers can be ordered with on-board signal conditioning providing +5 or +10 VDC output. A horsepower option provides further capability of separate voltage outputs proportional to torque, speed and horsepower. 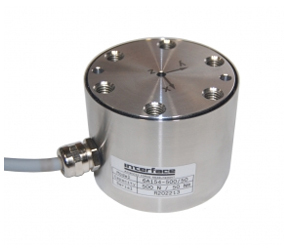 Multi Axis Load Cell are designed and manufactured by Interface to measure a multiple of forces and/or moments simultaneously with a single load cell sensor. 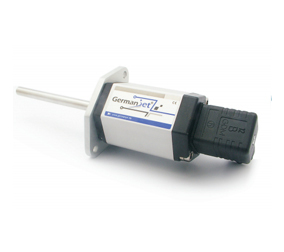 These sensors provide multiple bridges that precisely measure the applied force from one direction with little or no cross-talk from the other forces or moments - when installed and used according to specifications. 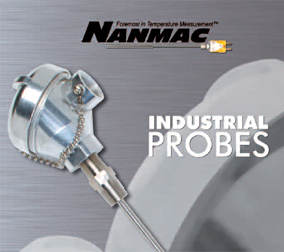 Nanmac Corporation has been a leader in temperature measurement and control for industrial and research applications, since 1956. 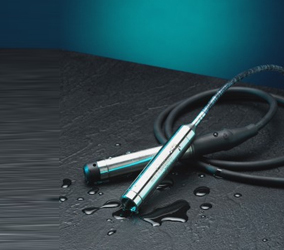 If you have any specialised temperature measurement need, Nanmac can surely cater it.